ISA coaches are highly experienced, expert practitioners who are committed to supporting states, districts, and schools. Many have been secondary school principals or lead teachers who have started their own schools. Some have been instructional superintendents or superintendents. Margo’s commitment to excellence in public urban education has spanned 37 years and two cities. Her dedication and commitment has led her to find fulfillment in a variety of positions. She served as the Coordinator of Curriculum and Instruction at Aspira, Inc. Prior to this, Margo relocated to New Orleans where she worked to rebuild the post Katrina, state-run Recovery School District. In these four years she served first as the Coordinator of Master Teacher Coaches and then as Network Leader in charge of all operations for six schools where she helped to create a rubric for teaching based on the Danielson Framework of Teaching. Subsequent to her move to New Orleans, she created and served as the director of the TFA Mentor Program for first year teachers at the University of Pennsylvania. This, following three years of service to Mastery Charter Schools as an assistant principal in charge of instruction. Margo has also spent her career mentoring other teachers through the Philadelphia School District, the Philadelphia Writing Project and Aspira Schools. It with great enthusiasm that Margo comes on board as a teacher coach for the Institute of Student Achievement. Sally prioritizes establishing and expanding access to, and opportunity for, strong education options for all students and families. She has focused her service and philanthropic commitments to organizations that put the needs of kids and families first. Sally has created pathways for student, school and system success in both public education systems and national education focused non-profits. In her public service leadership positions in the New York State Education Department and the Massachusetts Department of Elementary and Secondary Education, she combined new education law and public policy opportunities with federal and state education investments to support teachers, teacher leaders, and school systems to improve student academic outcomes. Sally has served as the Senior Advisor and Vice President at City Year, Inc., and worked with Expeditionary Learning Schools. In the 2017-2018 school year, she was Interim Executive Director and Superintendent of Schools of City on a Hill Charter Public Schools, providing strategic direction and oversight of three stand-alone public high schools as well as the associated friends-of Foundation. Sally started her career in public education with the San Diego Unified School District. Sally holds an AB from Bryn Mawr College, and an Ed.M. in Administration, Planning and Social Policy from the Harvard University Graduate School of Education. She is a member of the fourth class of Aspen – Pahara Education Fellows, and a member of the Aspen Global Leadership Network. Terry Born brought her 30+ years of experience to ISA in 2003. She is an expert in leadership, literacy, curriculum design, collaborative Learning and arts in education. Born was an English teacher, theater and photography teacher, and also served in the following roles: founding principal, Robert F. Wagner Jr. Secondary School of Arts and Technology , Faculty Bank Street Principal’s Institute, curriculum and leaderships, Adjunct Faculty/College Now: LaGuardia Community College, professional development: interdisciplinary curriculum, literacy across the curriculum, theater, small school development: Middle College National Consortium. Zenon Borys joined the ISA coaching community in 2017 and is a mathematics instructional coach at Integrated Arts and Technology in Rochester, New York. Before moving to Rochester to pursue his doctorate in education, he taught mathematics in the South Bronx at Banana Kelly High School. He also taught ballroom dancing and was the high school’s wrestling coach. His current research focuses on the design of and teachers’ use of digital curriculum resources. He brings experience in teacher preparation, professional development, and curriculum development to his practice. Sheila Breslaw has been a school coach since 2007. She was an English teacher, reading teacher and the founding and co-principal of New York City Lab School for Collaborative Studies, where she served for 20 years. Breslaw also worked with new and upcoming principals during her time with the Office of New Schools in New York City’s Department of Education. Breslaw’s areas of expertise include school leadership, and English language arts curriculum and pedagogy. Stephen Brodbar, science coach, has experienced the field of education from three distinct perspectives: as a teacher in the New York City Public School system, as an instructor designing curriculum and professional development programs supporting standards-­‐based curriculum reform at the American Museum of Natural History and as an educational consultant with Teachers College, Columbia University, The New York Academy of Sciences and AUSSIE Professional Development. These three vantage points have given him a unique sense of how schools, universities and informal learning institutions interplay. He has worked with teachers around the United States, as well as in Europe and Asia. His interests include bringing scientists and teachers together in professional development settings to see the effects on pedagogy. Lisa Chapman joined ISA in 2017 with 34 years of secondary educational experience in a variety of capacities. She served as a 7th-12th grade English teacher designing and building a variety of courses and programs within the field of English and Humanities. As the IB Coordinator she worked with a team to develop the International Baccalaureate (IB) program at Odyssey Academy. In addition, she was a member of the administrative team at Odyssey Academy for a number of years. Lisa’s educational experience has been shaped by educational research in student-centered learning including performance-based assessments. Alison Cohen joined ISA in 2015 and is thrilled to be coaching at several ISA schools. She is the product of an urban public school system herself (DC Public Schools) and her experiences as a student made her passionate about working towards a more just educational system that meets all students’ needs regardless of background. Alison has spent more than a decade playing a variety of different roles in public middle and high schools. She has worked as a teacher (English, Literacy, ESOL/ENL, Special Ed), school mindfulness program director, student teacher supervisor, teacher advice columnist, and coach. Her areas of expertise include literacy across the content areas, mindfulness, bias awareness, and growth mindset in urban schools. Alison loves the moment when humanities and STEM teachers she has been working with successfully implement literacy practices in their classrooms and then later share that they have come to see themselves not only as content experts but as literacy educators as well. She is also particularly passionate about the roles growth mindset and mindfulness training can play in improving instruction, student performance, and relationships among school community members. Sharon Cohen was a secondary math teacher for the School District of Philadelphia for 37 years, teaching all levels of math from pre-algebra to AP® Calculus BC. 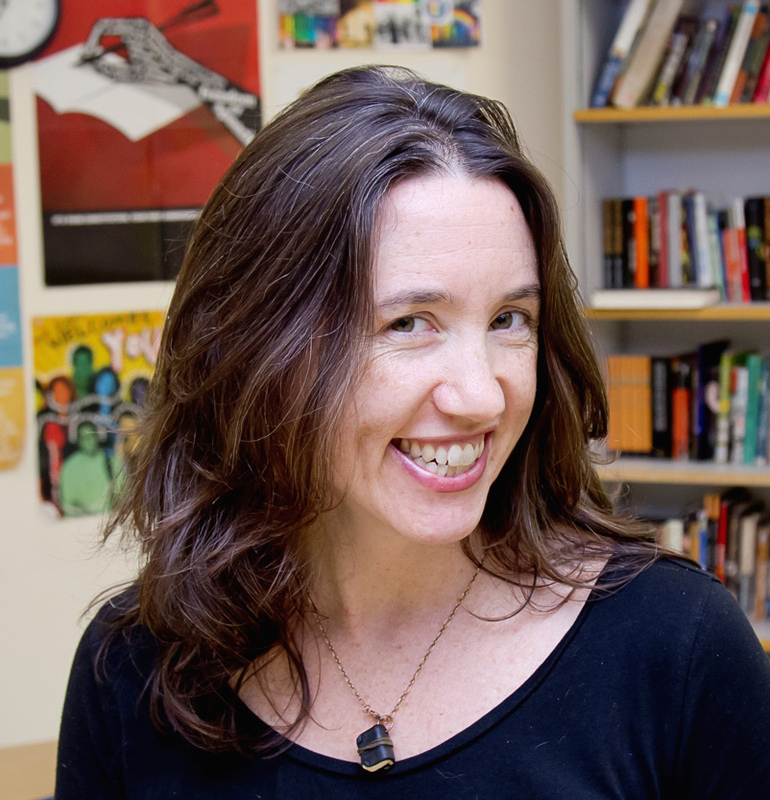 During her tenure in Philadelphia, Cohen was also the Math Department Chair, a new teacher mentor, a facilitator for different math programs, and a supervisor of a small learning community. Since then, she has worked as a new teacher mentor for the Philadelphia Region Noyce Partnership and is currently an adjunct professor at Moore College and the Community College of Philadelphia. She has been the ISA math content coach since 2017 at Kensington Health Science Academy. Her love is helping math teachers bring inquiry and discovery into the classroom. 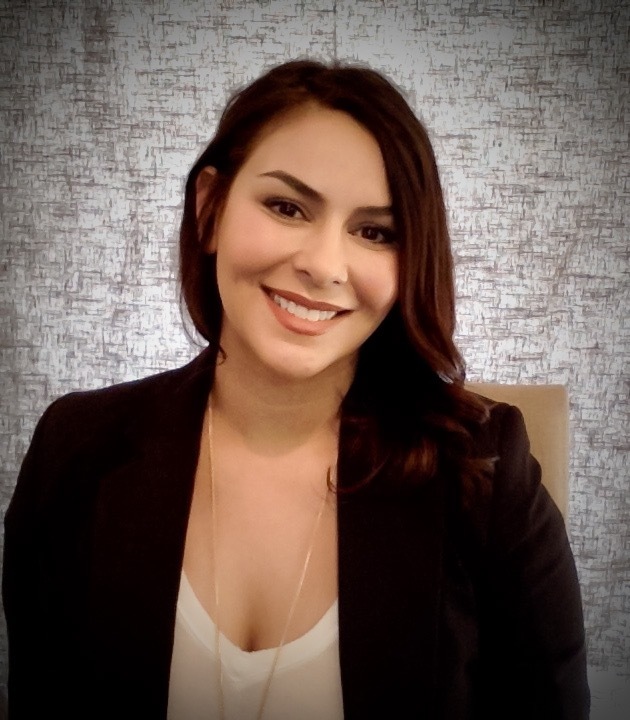 Vera Da Vinci joined ISA as a Social Studies coach in Philadelphia in 2018. She has a long and varied career as a museum educator, curriculum consultant, presenter of professional development workshops, and teacher with the Philadelphia School District. She has forged relationships with a number of history and cultural institutions in Philadelphia. At the Philadelphia School District, Ms. Da Vinci also managed the Philadelphia School District’s Advanced Placement and International Baccalaureate Programs. As a coach, she enjoys working with students to help them see relevance and connections to their learnings and lives and helping teachers employ teaching strategies that increase students’ engagement level and academic performance. Sabriya joined ISA as a science coach in Philadelphia in 2017 after working in the Philadelphia School District and DC Public Schools. She has served as a science teacher, department chair and science curriculum content specialist in Philadelphia. She served in the Kingdom of Saudia Arabia at an international school focusing on providing professional development for high school staff. She also served as a Master Educator in DCPS supporting mathematics, science and CTE instruction. She is passionate about connecting teachers and students to real life science experiences, creating engaging classrooms focused on meaningful discussions and coaching teachers in order to support their growth. 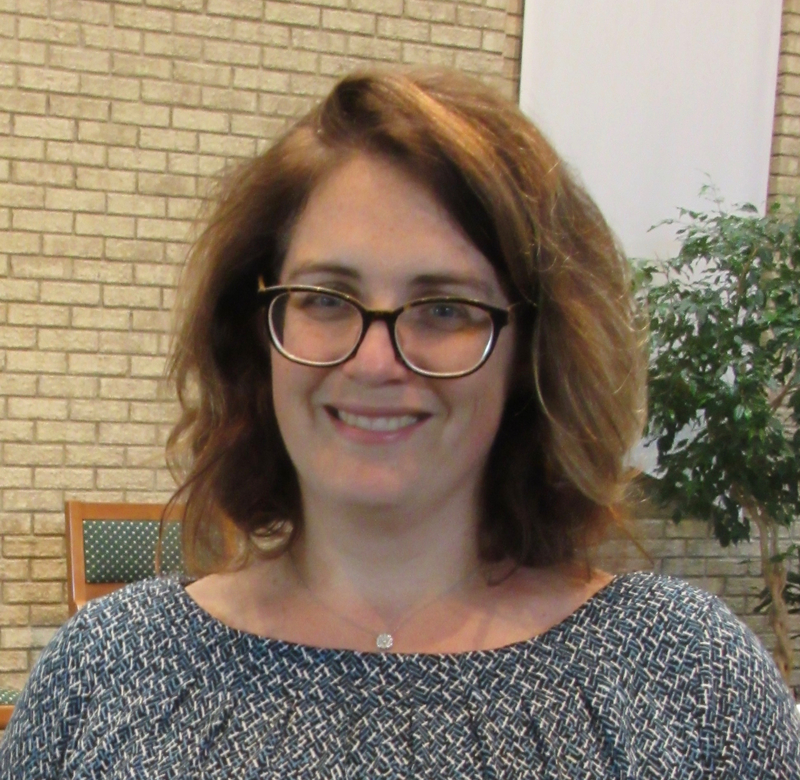 Melissa Donner joined ISA as an ELA coach in Philadelphia in 2017 after teaching for over ten years. Grounded in her own experience as a student, she has always found the most satisfaction and success teaching with challenging questions, collaborative projects, and ample writing. While head of a high school English department, she steered teachers towards an inquiry-based curriculum through backwards design unit planning and reflective practices. She also founded and coached a slam poetry team that participated in an interschool league. As a teacher and coach, Melissa enjoys helping students and teachers find their voices and foster their strengths. Steve Duch is a leadership coach with the Institute for Student Achievement, working specifically in the area of Career and Technical Education. He assists schools with strategic planning, course development and program design. Prior to this Steve was principal of Hillcrest High School as well as an assistant principal and teacher within the New York City Department of Education. Paula J. Fleshman brings over 20 years combined experience in instruction, supervision, and education/youth development research and evaluation. Since earning her Ph.D. at the CUNY Graduate Center, Paula has taught elementary and secondary mathematics curriculum and methods courses for general and special education pre- and in-service teachers at Hunter College and Brooklyn College. Through Hunter, she has also supervised pre-service elementary and secondary teachers in mathematics at various public schools throughout New York City. She has had the privilege of supporting student interns as they prepare to enter the classroom and new teachers as they gain their footing in their first years. This experience has given her a nuanced perspective on teacher preparation, needs, and support from K-12, especially around inquiry-based and student-centered instruction in mathematics. She enjoys helping teachers to develop a mathematical mindset for themselves and with their students to allow all classroom members to enjoy and successfully engage in mathematics. Kimberly Fluet joined the ISA science team in 2017. She has been a science educator and science teacher educator for 20 years. Kimberly previously taught at the middle, high school, and collegiate levels. Her current research and teaching interests focus on science teacher development and science curriculum design. Kimberly brings her years of professional development for BSCS and her science coaching with the East High School-University of Rochester partnership to her work at ISA. Kimberly’s greatest accomplishment is empowering science teachers to grow and flourish, along with their students, toward deep conceptual understanding of science and science teaching. 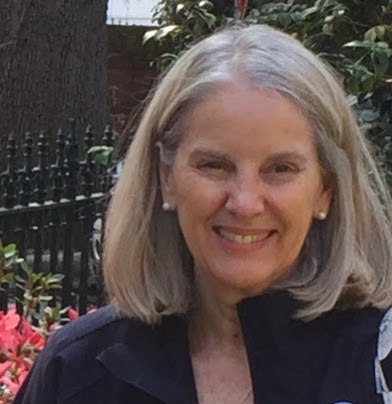 Diane Giorgi brings over thirty years of teaching, mentoring and professional development experience to her current role as a social studies coach at two NYC high schools. Prior to joining ISA, Diane taught social studies and writing on the secondary and college levels, and coached novice and veteran educators across content areas. She has presented workshops on the teaching of reading and writing at local, state and national conferences, and is active in National Writing Project initiatives. Stephanie Grasso’s coaching enables her to share her expertise in integrating English language learning and literacy in content area curriculum development for new English language learners, and SIFE (students with interrupted formal education) with teachers. She was a founding English teacher at ISA’s ELLIS Preparatory Academy in New York City and went on to provide literacy and instructional coaching at ELLIS. Grasso’s work in developing science curriculum with integrated language and literacy approach became one of her greatest accomplishments at ELLIS. Alwina retired from teaching in 2013, after almost 30 years with the Camden City School District and the School District of Philadelphia. She retired from the high school she graduated from almost 50 years prior. It was there that she I fell in love with mathematics and decided to become a teacher. Throughout her career as a math teacher, she worked in several supportive roles but she most enjoyed teaching high school students and sharing my expertise with colleagues through professional development. Christian Gregory recently completed his Ph.D in English Education from Teachers College (TC) Columbia University and holds two degrees in literature from the Bread Loaf School of English at Middlebury College. 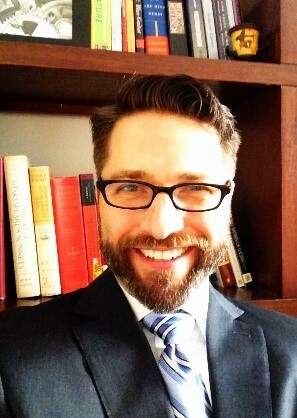 He is the recipient two fellowships from the NEH, was a semi-finalist for the Bechtal Award, and received the national JSTOR Lesson Plan award in 2015. He has presented papers on pedagogy and literature in at over 20 conferences, including AERA, NCTEAR, CEA among others. He is currently a Lecturer at TC and an adjunct Professor in the English Department at Mercy College. Todd is an Associate Professor of Social Studies Teacher Education at Kent State University. Prior to earning his Ph.D., Todd taught high school social studies for four years in the Atlanta Public Schools and for three years at Oglethorpe County High School. 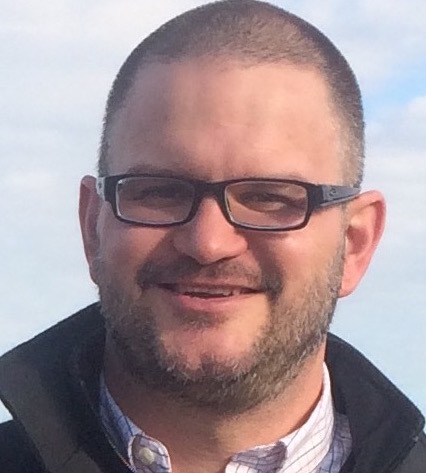 Todd’s interests include working with teachers to develop their purposes for teaching social studies, to use inquiry to teach about race in social studies and to engage students through problems-based learning. Dina Heisler’s greatest accomplishment as a coach has been working with teachers to expand their practice to include a more inquiry based, student centered, and collaborative approach to teaching and learning. Heisler has been a coach with ISA since 2011. Her career has included teaching interdisciplinary social studies and ELA curriculum to English language learner high schools students, and taking on the leadership roles of principal, network achievement coach, humanities teacher, and adjunct for the Principals Institute at the Bank Street School of Education. Her areas of expertise include supervision, humanities curriculum, restorative justice, social and emotional learning, ESL, and Webquests. classrooms in the Los Angeles county area teaching students at various grade levels to find their voices through reading and writing. Natalie supports schools with both literacy and leadership coaching to create positive, trusting relationships that produce collective goals and outcomes. She is also a National Board Certified Teacher. Denise joined ISA as a math coach in 2017. 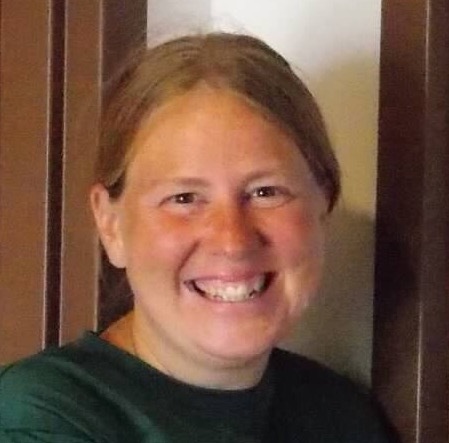 She has worked in mathematics education for nearly 20 years as a middle and secondary math teacher, community college instructor, and teacher education faculty. Denise has worked with classroom teachers across coaching beginning math teachers and providing professional development on using technology to enhance teaching. She has earned a BS in Mathematics and MS in Mathematics Education from North Carolina State University and a doctorate in Curriculum and Instruction from The George Washington University. Carlton Jordan has over twenty years’ experience in education. He was a high school English and writing teacher for many years. He served as a coordinator of a ninth-grade detracked English course, and was a founding member of an untracked middle school in New Jersey. At the college level he has taught Africana Studies and EOP writing. He has served as a literacy and leadership coach and has served as a team leader and writer for school quality reviews. Jordan feels his greatest coaching accomplishment has been helping principals create an environment where teachers deliver quality instruction and assign writing across the disciplines. William Kist, Ph.D. is a professor at Kent State University, where he teaches literacy courses at the undergraduate and graduate levels. He is the proud recipient of the 2017 Outstanding University English Language Arts Educator Award, given by the Ohio Council of Teachers of English Language Arts. A former high school English teacher in the Akron Public Schools and a former language arts and social studies curriculum coordinator for the Medina County Schools’ ESC and for Hudson City Schools, Bill has been working with schools and districts on a national level for over 15 years in the areas of integrating technology and using high-yield instructional strategies with struggling students. Bill has presented many keynote addresses for such organizations as the National Dropout Prevention Conference, American Reading Forum, Texas Council of Teachers of English, The International Association for Entertainment Marketing Professionals, and the South Carolina Teachers of English. 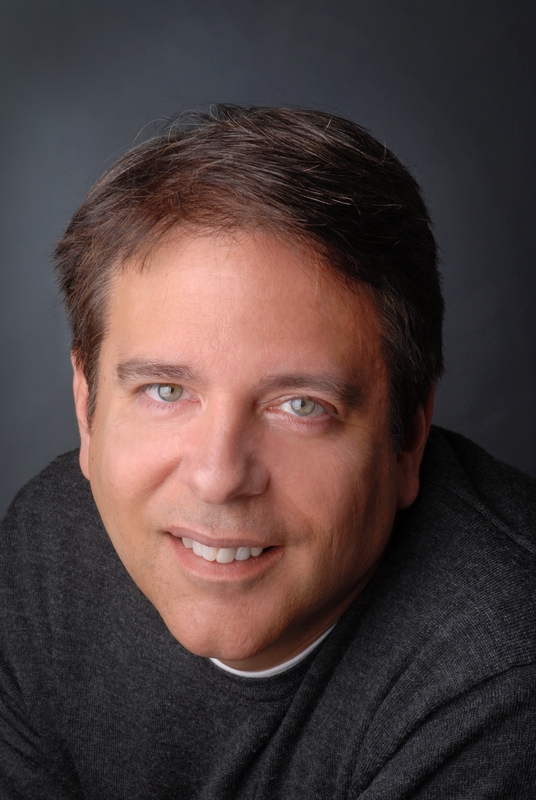 An author of over 50 articles, Bill has penned four books including New Literacies in Action, The Socially Networked Classroom, The Global School and Getting Started with Blended Learning. Bill has recently been the Project Director for College Today, a $480,000 grant-funded project (Great Lakes Education Philanthropy) designed to provide college-level English and math instruction on a daily basis to two small cohorts of underrepresented students at Akron Ellet and Akron Firestone High Schools. In addition, Bill is currently directing Writing Ourselves, a project funded by the Martha Holden Jennings Foundation that is bringing together English teachers from nine area high schools in an effort to help struggling writers get ready for college. Bill also keeps active creatively, working as a professional musician (with a regional Emmy nomination for music composition to his credit). Bill can be found online at www.williamkist.com and at https://twitter.com/williamkist. 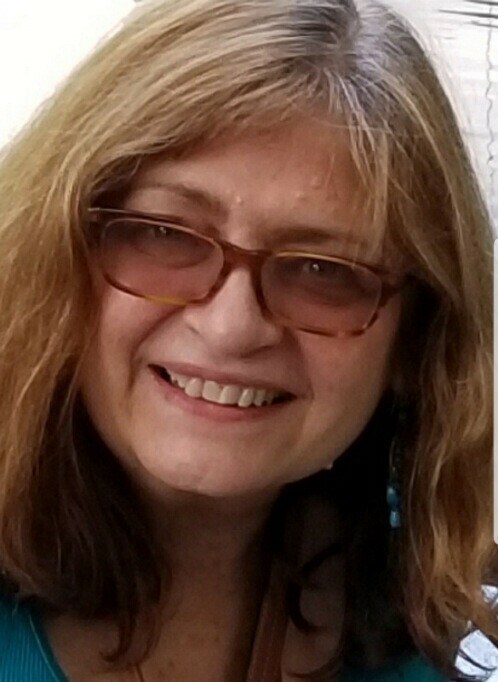 Patricia joined ISA as a science coach in 2018. She is an experienced instructional coach with an emphasis on school-wide curriculum development, content coaching for teachers, professional development, creating a community of teachers, developed teacher confidence in the inquiry based laboratory experiences, focused on higher level of questioning and content rigor, provided teacher resources, understanding and valuing the students they teach, and relinquishing teacher control by engaging students in collaborative instructional strategies. Prior to coaching, Patricia spent a total of 41 years in education including 32 years in science instruction in middle, high school, and at the university level in Alabama, North Carolina, Kentucky and Germany. Dr. Keith Look began his educational tenure as a middle school teacher in west Baltimore. He then pursued the study of education policy and practice formally at the University of Pennsylvania, focusing his dissertation on the application of K-8 grade span configurations as an intervention capable of maintaining community continuity while preserving the principles of middles grades education. As a high school principal in both Philadelphia and Louisville, Keith fostered learning opportunities in challenging environments. His turnaround work at the Academy @Shawnee, documented in Education Week and celebrated by then US Secretary of Education Arne Duncan, applied a therapeutic approach to school reform and debunked the myth that only new teachers would fill vacancies at such schools. Most recently, the Danville Independent School District shed its negative achievement label under Keith’s leadership as superintendent. 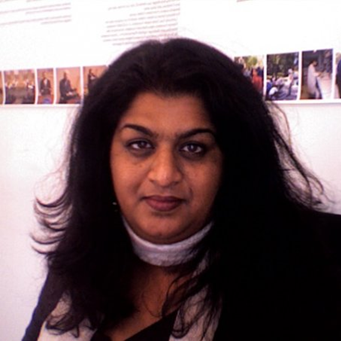 Denise Mahfood joined ISA in 2013. Her decade of experience in the sciences and education provides a strong foundation for her ISA coaching. Her coaching approach encourages authentic questions, supports high skill levels, inquiry into social issues, and creative thinking. Denise’s areas of expertise: curriculum development, Physical, Life, and Earth sciences, and science professional development for teachers. Denise completed her Doctoral studies in Science Education at Teachers College. Lois McGee is an ISA Literacy Coach who helps teacher and professional learning communities identify and implement literacy strategies and classroom practices that help make literary and content-area text more accessible and comprehendible to high school students. 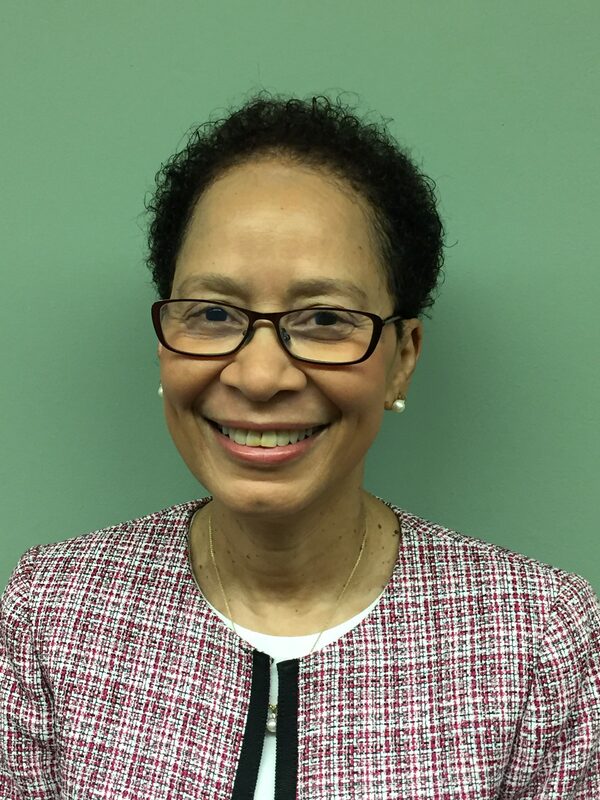 Before starting as an ISA coach Lois worked for 38 years as a reading teacher and school administrator with the School District of Philadelphia. After a successful career working with teachers and students Lois found a home as a teacher consultant with the Philadelphia Writing Project (PhilWP) where her value of inquiry and teacher research was nurtured and developed. Currently, as a site coordinator for Poetry Inside Out, Lois supports other PhilWP teacher consultants. Rob Menken taught social studies and English, and he served as principal and founding co-director of New York City Lab School for Collaborative Studies. His 18+ years of experience provided him ample opportunity to develop skills in the areas of leadership capacity, collaborative teaming, and instructional focus. Menken feels his greatest coaching accomplishment has been helping principals come to the realization that quality instruction is the goal and that test scores will follow that achievement. With over 10 years as a New York City Educator, Mariam Naraine-Zebrowski joined ISA in 2012 as a Science Coach. During her time with the DOE, she taught high school Living Environment, Earth Science and Chemistry. At the then new school, Manhattan Hunter Science High School, Mariam was responsible for developing the Science Department which included mapping out its four year Science sequence and also designing school wide Science Research program. Mariam has spent several years in the non-profit world, exploring and developing programs to help underserved NYC students in middle and high school move on successfully to college. During this time, she coordinated the Metro Regional Junior Science and Humanities Symposium where over 200 students from around the NYC region participated. Ms. Nicholson is both an experienced principal and trainer of principals and has held positions in both the Prince George’s County and Baltimore City School systems. She is known for her ability to improve the academic performance of students. She was recognized in the Prince George’s County school community and ranked number one in the district for achieving dramatic academic gains. She was also recognized in 2012 as one of forty women making extraordinary differences in Prince George’s County. Lynne Pachnowski is a Professor of Math Education at the University of Akron. Since 1993, she has taught math methods courses at the university as well as courses on teaching with technology. She partners with the Akron Public Schools to provide clinical teaching experiences for her middle level and secondary math methods courses. Lynne has been a math instructor for the Upward Bound program at Case Western Reserve University serving students in the Cleveland Metropolitan School District and Cleveland Heights Schools. She also served as the university’s project director for UA’s Woodrow Wilson Teaching Fellowship program which prepared over sixty people with STEM degrees for teaching professions in urban settings. More recently, Lynne co-founded has co-facilitated the Rubber City Math Teacher Circle community of teachers. She has also co-founded and co-facilitated a Girls Who Code club at the university and co-founded all-girl, creative hackathon event in partnership with the Akron Art Museum. Gerrelyn Chunn Patterson joined ISA as a literacy and ELA coach in 2017. She earned a BA in English Literature from North Carolina Central University, a MEd in English Education from the University of Virginia, and a PhD in Curriculum, Culture and Change from the University of North Carolina at Chapel Hill. She has more than 18 years of P-12 and post-secondary experience as a literature and composition instructor and teacher educator. She has taught undergraduate and graduate methods courses, with an emphasis on instructional planning and classroom management, to pre-service teachers. She also conducts research in best practices with instructional strategies and the utilization of service-learning pedagogy to prepare culturally responsive teachers. Gerry is a proud native New Yorker and product of NYC public schools. He has taught history at some of New York City’s most prestigious independent schools. Gerry is a certified college counselor and is currently an administrator at the Nation’s premier educational access program, which places gifted students who attend NYC public schools at independent schools. With many years of teaching in the classroom, as well as tutoring, Gerry brings multiple perspectives into the classroom that enables educators and their students to succeed. first three graduation cohorts. He is excited to continue his work in serving underserved students through the development of strong intentional leaders. Pryor retired from public school education in 2016 and joined the ISA team as a school development coach in 2017. 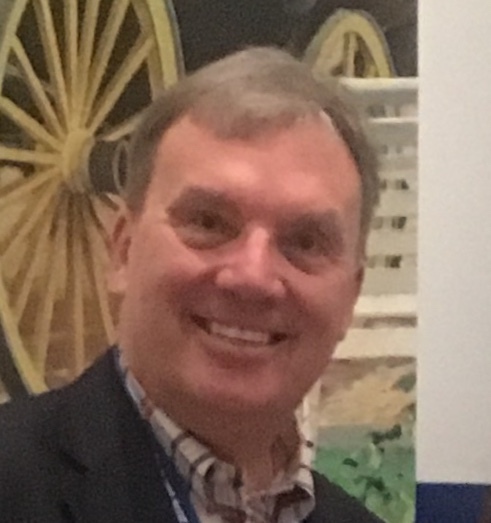 After working for 40 years as a teacher of English, assistant principal, principal and assistant superintendent for the Inner London Education Authority and the NYC Department of Education (DoE), Nigel brought his expertise to ISA in October 2018 as a leadership coach and a coach to support special education inclusion. Nigel was the founding principal of the Queens High School of Teaching, then an ISA school, in 2003. Since then he has been the principal of a successful turnaround school in Manhattan and supported 10 professional networks in the NYC DoE central office that provided services and supports to 355 NYC schools pre-k through 12. Nigel has mentored many future leaders through the New York City Leadership Academy and taught future leaders through the Principals’ Institute at Bank Street College of Education. 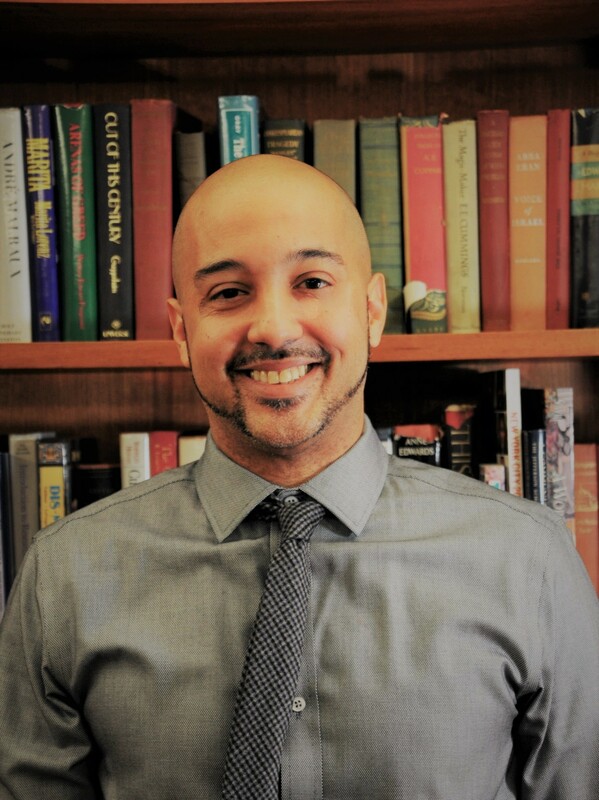 He has considerable experience in leadership support, facilitative leadership, creation of new schools, designing inclusive environments for students with disabilities and other non-typical students, addressing the disproportional suspension of young men of color, and supporting LGBTQ students and adults in educational settings. More recently he has moved into international work through Americans for Bulgaria to support school leadership development in Bulgaria. As a Leadership Coach at ISA, Sylvia Rabiner is responsible for helping prospective new principals write and present their new high school proposals to the Office of New Schools. Through ongoing meetings Rabiner works with school leadership to deepen their understanding of the ISA principles and to better understand how to implement the ways in which the principles serve as a framework for the new high school. Additionally, Rabiner acts as a mentor for all new ISA coaches. For the past eight years Rabiner has worked with schools in New York City, Atlanta, Detroit, Minneapolis, and Houston. 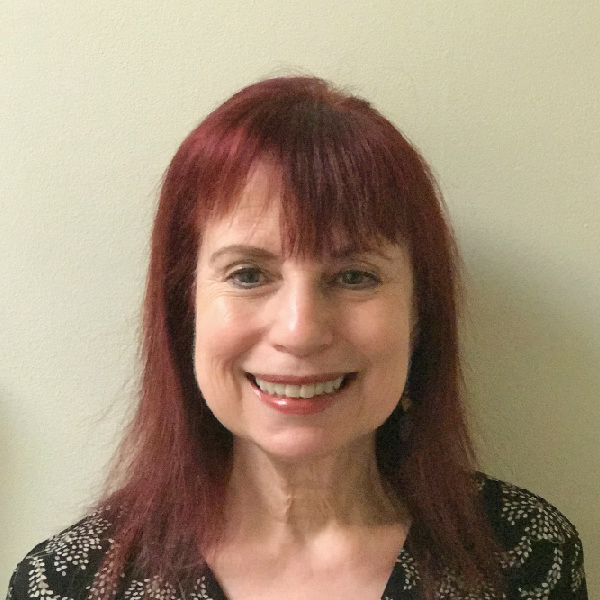 Dana Rapoport joined ISA as a Social Studies coach in Philadelphia in 2017. She has worked in the South Bronx, Philadelphia area charter, private and inner city public schools as a high school social studies teacher and administrator. She brings a passion for history, integration of subjects, experience with project-based learning and inquiry. As a coach, she enjoys collaborating with and empowering teachers to design and implement relevant, thought-provoking lessons through a more inquiry-based and student-centered approach. Keri Scriva’s 10+ years of experience as a math teacher, grade team leader, teacher mentor and academic intervention math teacher provides a solid foundation for her coaching. Scriva has been with ISA since 2012. She feels most accomplished when she sees the teachers she works with grow professionally as a result of her coaching. Henry K. Shimojyo joined ISA in 2017 and focuses on supporting Science and Mathematics Best First Instruction for schoolwide improvement. Additionally, Henry is a Teacher Supervisor with the Graduate School of Education at the University California, Riverside. Henry has over 15 years of experience in Education including teaching all levels of High School Chemistry, leading district STEM initiatives and a Teacher Leader in Notebooking Pedagogical Practices. Additionally, Henry supports the CA statewide efforts of Implementation of the Next Generation Science Standards via several initiatives: Statewide Rollouts and County events and initiatives. Melissa Slater joined ISA as an instructional coach in 2016. She previously taught Social Studies, served as a crisis counselor and a behavior specialist in Chicago and New York. She specializes in working with students in alternative school environments including transfer high schools, residential treatment centers, and correctional facilities. As a coach, she enjoys collaborating with teachers to support their professional growth and designing meaningful opportunities that increase student voice. 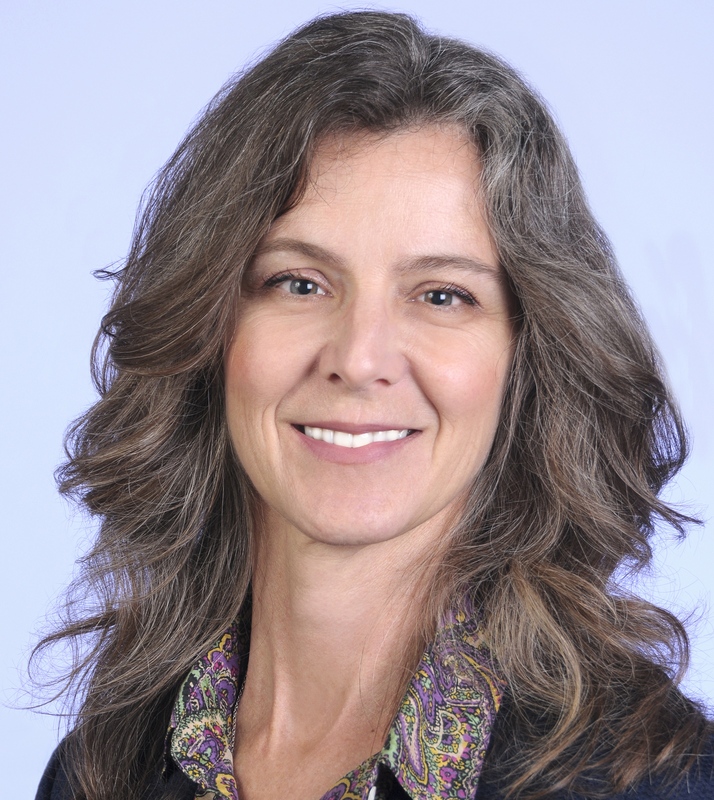 Deborah Smithey joined ISA science team in 2017. She was a science educator in the Philadelphia School System for 39 years. Deborah taught General Biology, Physical Science, Anatomy and Physiology and AP Biology. She was a Yale National Initiative Fellow 2010, 2011 serving on the National Steering Committee 2011 and 2012. She was a member of the University of Pennsylvania-Teachers Institute 2007, 2008 and served in the capacity of Teacher at Large 2010. Deborah received her Bachelor’s Degree from Lincoln University and her Master’s Degree from Temple University. Deborah has completed all of the coursework for her doctorate (ABD) at Temple University. Deborah is presently serving as an Adjunct Professor at Pennsylvania Institute of Technology teaching Biology and Chemistry to nursing students. Michael Solis, Ph.D. is an Assistant Professor of Special Education in the Graduate School of Education at the University of California Riverside. He is experienced running experimental and single-case design studies. His line of research focuses on vocabulary and reading comprehension interventions for students with reading difficulties in grades 4-12. Kate Ado has been a coach with ISA since 2006. She previously taught English at both the middle and high school levels. She has also served as a literacy coach and an assistant professor of education. Ado specializes in curriculum development, professional development, school change, urban education, teacher preparation and induction, literacy, and inquiry-based instruction. As a coach, she enjoys success in collaborating with teachers to develop and implement curricula that leads to students higher order thinking. 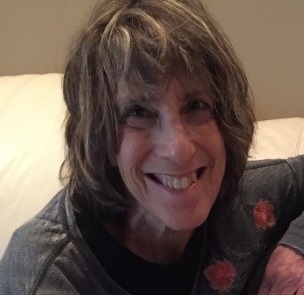 Molly Stern joined ISA as a math coach in 2018. She has taught math in NYC public and charter schools, most recently at Academy for Young Writers, where she was the Math Department Chair and an instructional coach for fellow math teachers. She has a B.A. in mathematics from Boston College and an M.S. in mathematics education from Pace University. Molly has extensive experience developing and teaching inquiry-based math curriculum. She is especially passionate about math coaching because she believes that helping to ensure that all students in public schools experience excellent, rigorous, inquiry-based mathematics instruction is one way to address the systemic inequities of the public school system. Michelle Stockdale has worked in various capacities of education for the past 17 years. Most significantly, she has been an educational specialist in the Lake Elsinore School District for 11 years, taught anthropology at Fullerton College and Mt. San Jacinto Community College for over 15 years, and lectures in the Graduate School of Education Department at University of California, Riverside. She also supports teacher candidates for Western Governors University as a Clinical Supervisor facilitating collaborative partnerships aimed at teacher preparation and student success. Michelle’s diverse work experience in education has shaped her approach towards teaching that emphasizes providing inclusive learning opportunities for all students. At all levels of instruction, she enjoys working collaboratively to design effective approaches to assist students in developing their ability to make meaningful connections to real world problems that utilize their unique strengths as valuable members of their communities. She is strongly committed to empowering underrepresented students in their academic potential and growth. 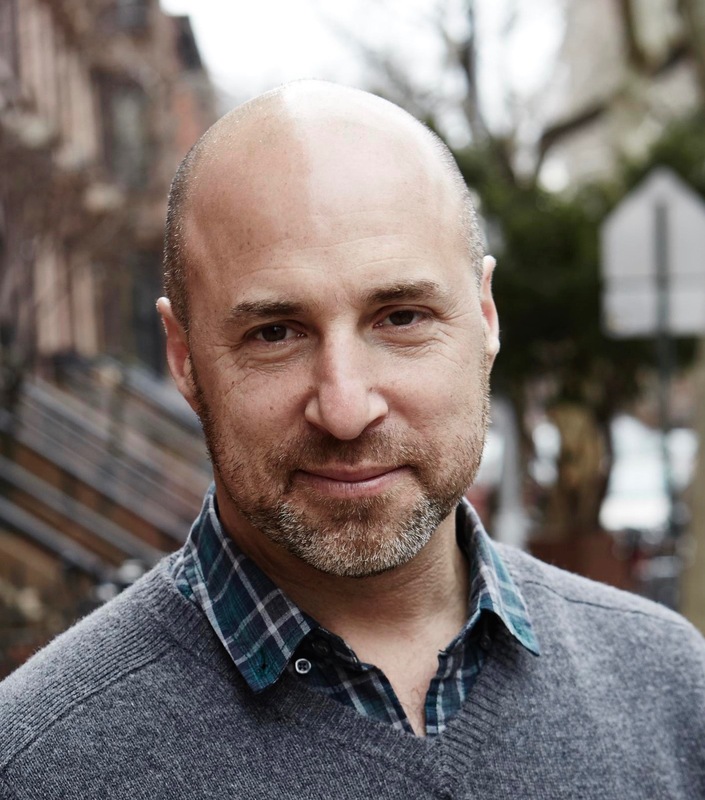 Currently, Steve Stoll is a school and leadership coach with Institute for Student Achievement, working in high schools in the Bronx, Newark and Philadelphia. As such, he assists schools with strategic planning, instructional leadership and school development. Formerly, Steve was the Director of Professional Development Schools at Teachers College, developing professional development at District 3 schools with Teachers College masters students and cooperating teachers, supporting action research projects. Prior to working with Teachers College, Steve was founding co-director and Principal of The Beacon School, a New York City public high school. Caitlin joined ISA in October of 2018 and brings her passion for inquiry and project-based learning to coaching. She taught students math for 8 years in a Philadelphia public school. She is excited to work with teachers to increase student engagement and bring curriculum to life in the classroom. When she is not coaching for ISA she is working with Inquiry Schools on their regional projects and riding bikes with young girls through Little Bellas. Jeanne Van Voorst has spent 42 years teaching social studies and English in schools in Indiana, Tennessee, Illinois, Wisconsin and New York State. Her teaching was shaped by 10 years of collaborating with another teacher in eleventh grade humanities, by working under an exceptional instructional leader, and by serving as a teacher leader. 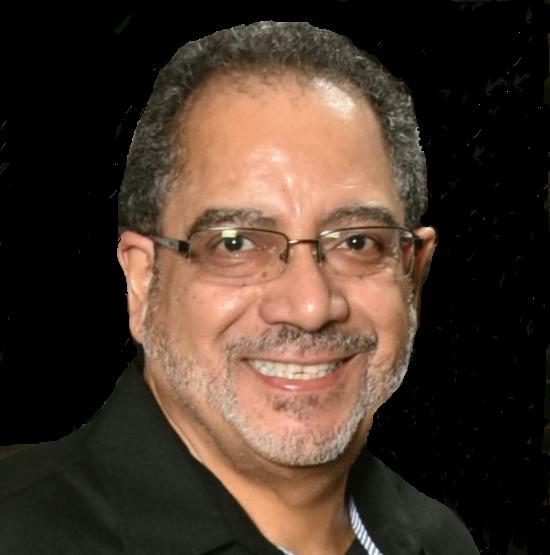 Currently, Raymond Warmsley is a CTE (Career and Technical Education) coach with Institute for Student Achievement, working at Shabazz high school in Newark, NJ. As such, he works directly with the Principal and the school administrative team to assist with course development, course sequencing, and matrix planning. Formerly, Ray was the Principal of Business, Computer Applications and Entrepreneurship HS located in Queens, NY. 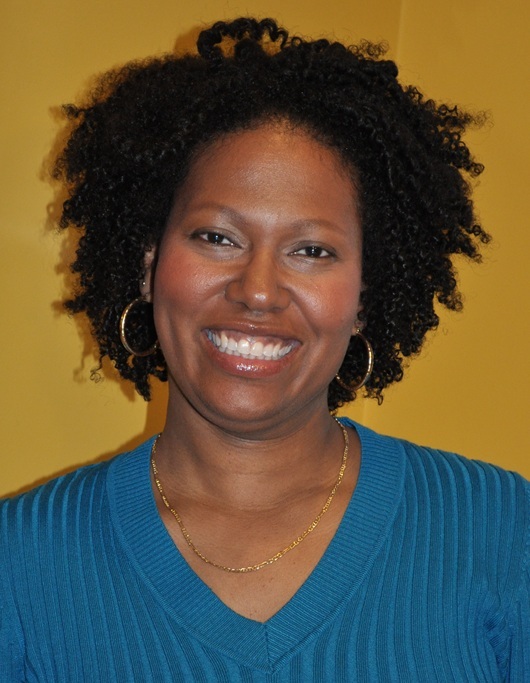 Sonya Wisdom, Ph.D., is Associate Professor of Science Education at Kent State University. 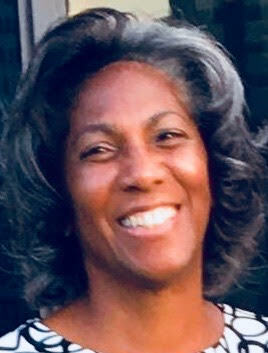 She taught middle school science for fourteen years in Athens, Georgia and Nassau, The Bahamas and later joined the faculty at The University of The Bahamas as an Assistant Professor of science education. Sonya’s interests include the curriculum decisions of teachers in science education and helping teachers to design and enact action research related to their practice. Her recent work includes working with high school teachers and their students from Pakistan, The Dominican Republic, and Cleveland, Ohio to develop service learning projects on local and global environmental issues. Angela began her career as a math educator when she was recruited to teach middle school math in Moreno Valley, CA in 1996; subsequently she relocated her family from Santa Fe, NM to the small town of San Jacinto, CA. After two years in Moreno Valley, she accepted a position in San Jacinto Unified School District (SJUSD) as a middle school math teacher and AVID Coordinator. Having spent over 20 years now in SJUSD, Angela has played many roles including AVID coordinator, math department lead, math teacher on special assignment, administrative designee, and curriculum and Instruction coordinator. Download ISA's Guide to Evidence-Based School Reform. Learn more about the techniques ISA has been using to improve schools for over 20 years.